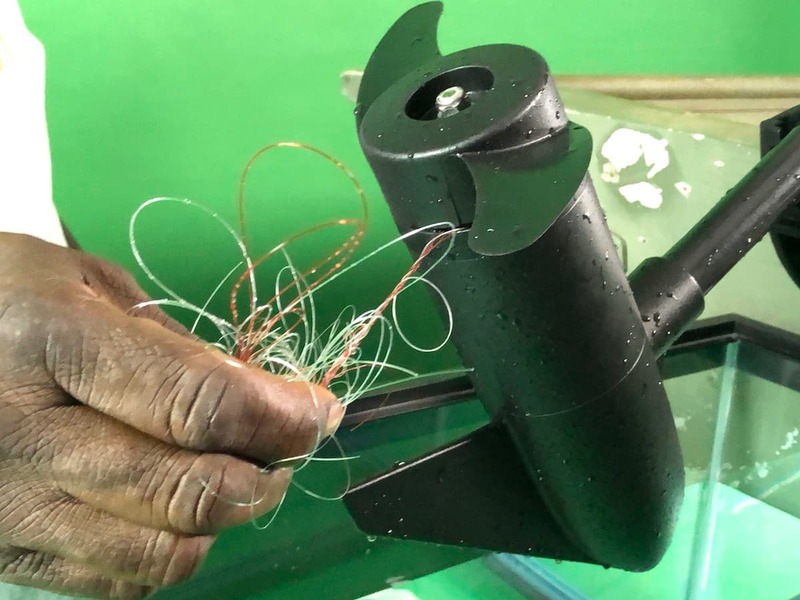 Two minute video demonstrates how Line Defender™ easily prevents monofilament fishing line from snarling the propellor & motor shaft of electric rolling motors. 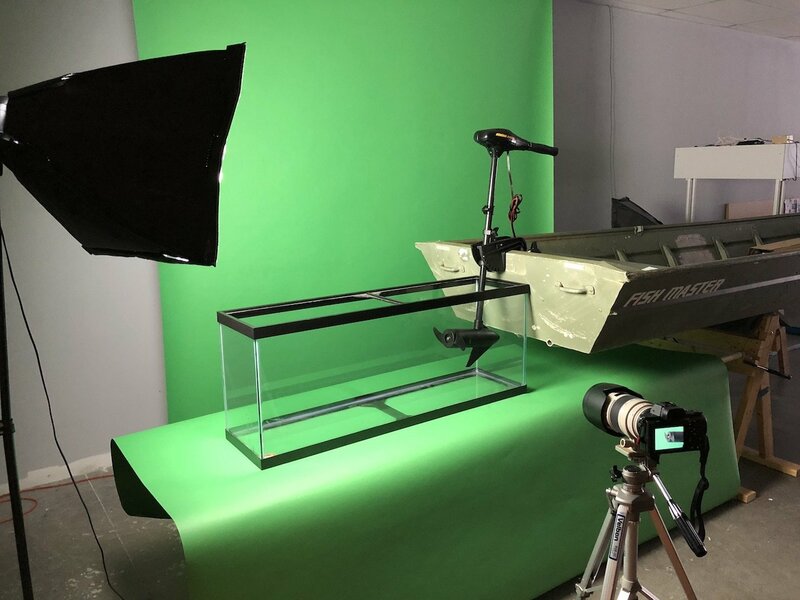 Shot with DSLR & iPhone cameras, fishing boat, trolling motor, and a 60 gallon aquarium in front of a chroma-key backdrop. Touchstone 3D (TS3D) is a product development & commercialization company located in Cary, North Carolina. FL Lockout retained TS3D to help them patent, build, and commercialize their Line Defender concept product. FL Lockout had produced a 15 minute, backyard video showing how the Line Defender concept worked. However, now that TS3D had turned the concept into a real product, FL Lockout needed a new, shorter, & more compelling demonstration video. 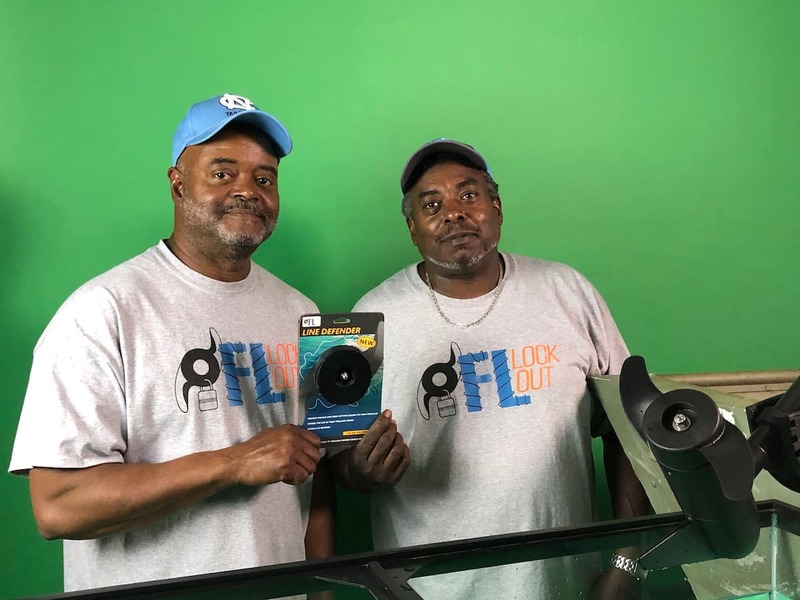 A two minute "window-in-a-window" product demonstration video was produced. 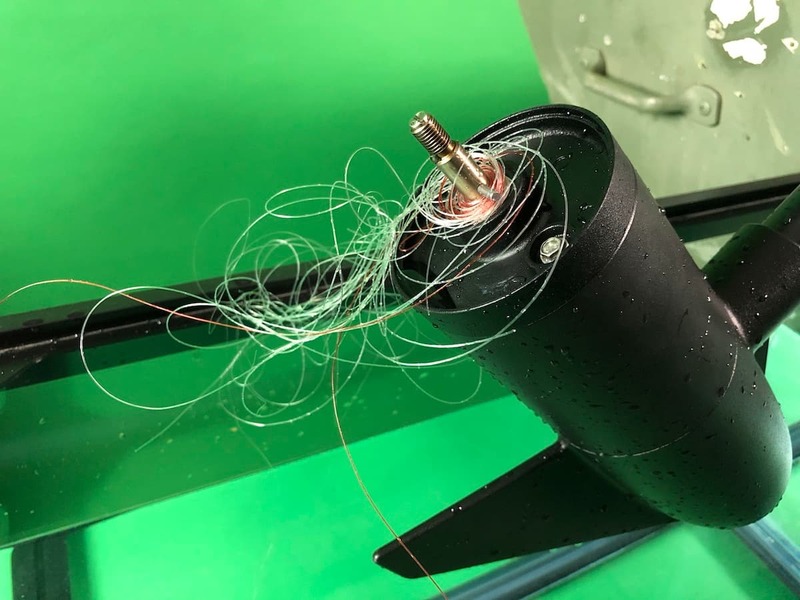 Video in the main window showed how Line Defender prevented the propellor of the electric trolling motor from becoming snarled with monofilament fishing line. Video in a smaller window showed the opposite: without Line Defender the prop became quickly snarled. By showing both the problem and solution videos in separate windows - but at the same time - the length of the demonstration was kept short. 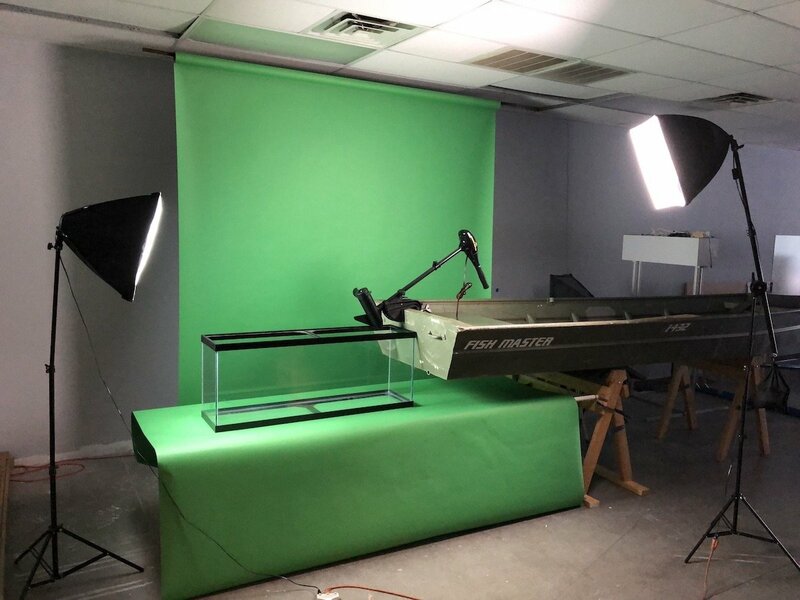 Adobe Creative Cloud, Telestream ScreenFlow, Sony a7 II Full-Frame Mirrorless camera, Sigma MC-11 adapter, Canon L series lenses, iPhone X camera/phone, green screen chroma key backdrop, actual fishing 'props'. As with any project, once you finish it you wish you could go back & do it over (and over ... and over ...). 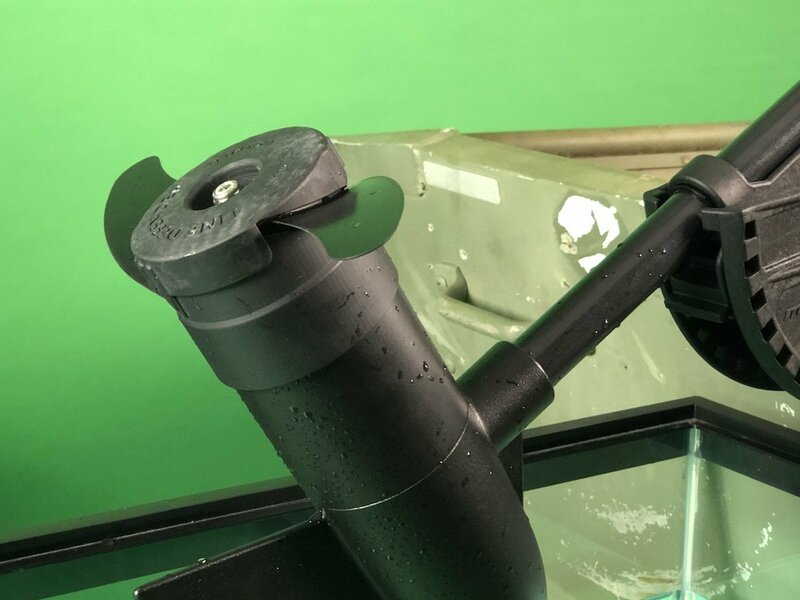 Lighting and reflections (from both the glass of the aquarium as well as the water in the aquarium) were the most difficult part of the shoot. 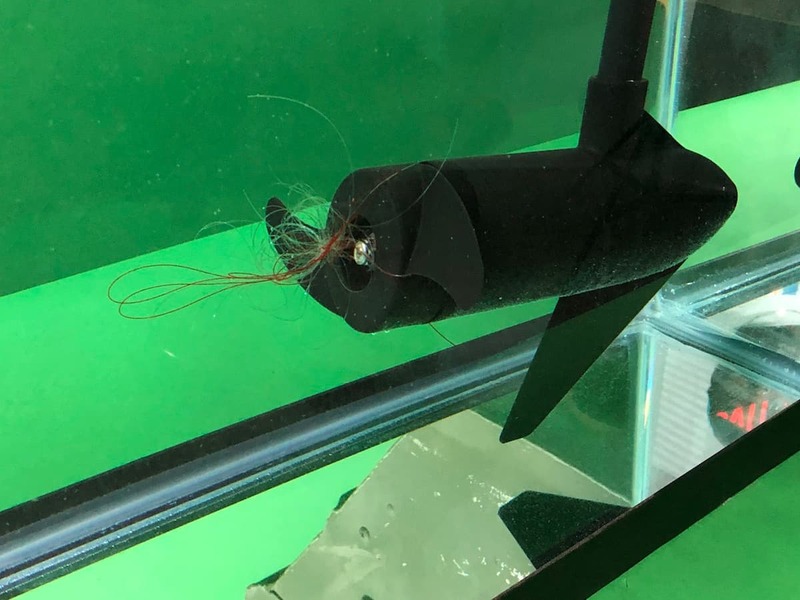 Next time I might be tempted to try submersing a GoPro camera in the tank to see if I could get some clearer shots. Another challenge was the green screen background. Unfortunately because one of the inventors - Jimmy - who was in the video moved around quite a bit, I had to move the camera to follow him. As a result, the green color took on different shades. When it came time to chroma key out the green & replace it with a background image, there was too much variation. 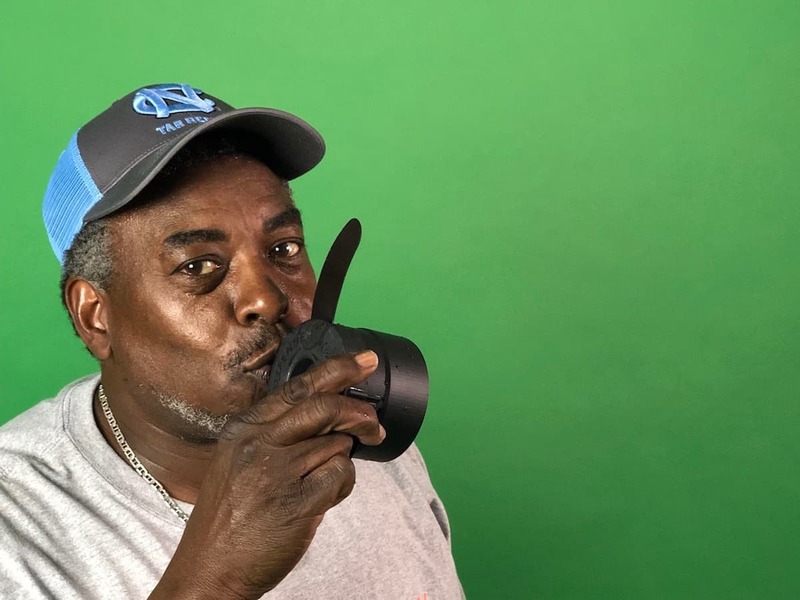 I learned that the best use for green screen is on a stage with balanced lighting, shot from a constant position, at a constant focal distance, and with only foreground objects allowed to move. Surprisingly, the camera in the iPhone X shot almost better video than the Sony Alpha with Canon L series glass. Both cameras have internal image stabilization and did a good job of minimizing shake. At first I thought shooting the line snarling at 60 frames per second (slow motion) would be better than normal speed. However, during editing it turned out that the 30 FPS speed seemed to show the process just as well - and in half the time! Fun project to shoot, fun editing with Telestream ScreenFlow. 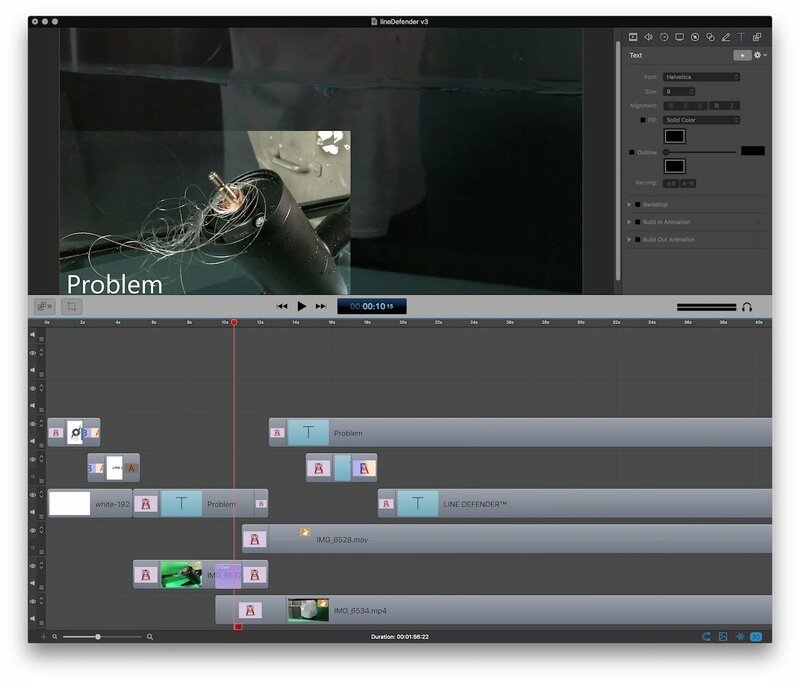 While I used Adobe Media Encoder at the end of the process, I find that Screenflow is _so_ much easier to use than Adobe Premier - and it makes editing a demo video like this a breeze. Below are both the final product video as well as some still photos from the shoot.